Peerless PLA60-UNLP-GB offers a single solution for displays up to 95" in a wide range of installations including lobbies, hotel rooms, boardrooms, public displays or home theaters. Its all-steel construction enables it to hold screens up to 175lb, while its self-lubricating bushings enable the arms to smoothly articulate and position your display for optimal viewing. 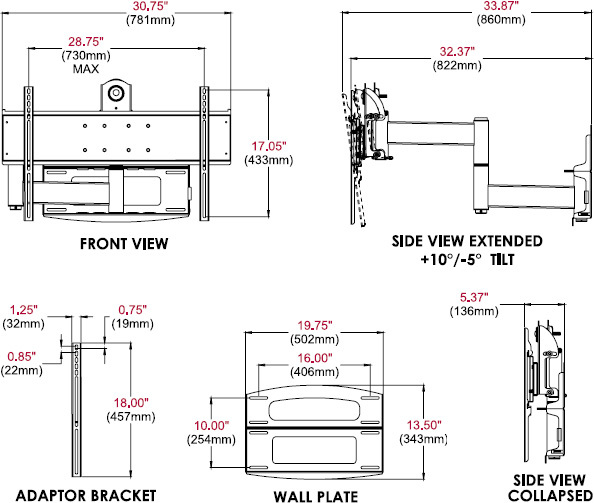 Combined with adjustable tilt and pivot capabilities, the PLA60 is the only wall arm you need. Monitor Size 37" to 95"